A beautiful and healthy smile is one of those things we all want. The problem is many people think that braces are the only way to get it. But this is no longer the case. When Invisalign hit the market, it changed the way people straighten their teeth, making it easy to get a beautiful smile while keeping your treatment discreet. The essential difference between braces and Invisalign is the material they are made of. While braces use multiple metal components that are tied together to form the appliance, Invisalign is a single piece of clear plastic. These pieces are called aligners and look similar to retainers, but are actually less visible. And while most braces are made via mass production, Invisalign is made based on mapping of your mouth so each aligner is unique to you. The way Invisalign works is pretty similar to the way braces work: pressure is placed on the teeth in a strategic manner, guiding their movement so they can be in correct alignment. While braces must be adjusted to change the pressure as needed, with Invisalign, you make the adjustments by swapping out the aligners every two weeks. Invisibility: Invisalign is invisible when on, so you do not need to advertise your treatment to the world. Removability: Rather than restricting your diet or relearning how to brush and floss, you can remove your aligners for a few minutes here and there when needed. Comfortability: Because there are no metal parts to cause irritation to the tissues of the mouth, Invisalign is incredibly comfortable. Is Invisalign Hard to Use? 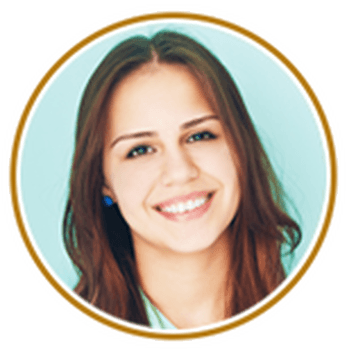 Overall, Invisalign is simple to use. 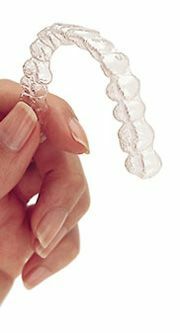 The aligners go on easily and are simple to clean. However, the system can be complicated for those who struggle to remember things. If you forget to put your aligners back in after eating or forget to switch to a new one after two weeks, you will compromise the quality of your treatment. If you remember things easily, though, it won’t be a problem. While it works in most cases, it isn’t for everyone. To find out if it is right for you, schedule your initial consultation.